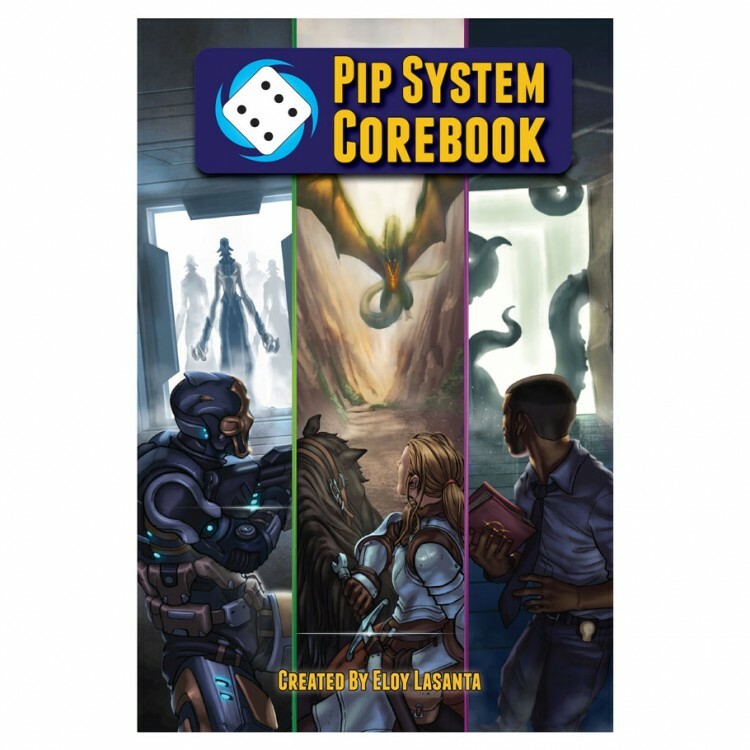 The Pip System is designed from the ground up as a genre-bending rules system for any roleplaying game! Create your own setting, convert an existing one, or pick up one of our amazing worlds, like Mermaid Adventures, Infestation: An RPG of Bugs and Heroes, or A Kid's Guide to Monster Hunting. Perfect for introducing new players and kids to roleplaying. Customizable character options with minimal bookkeeping. Easy-to-learn mechanics utilizing only six-sided dice! Includes all the rules needed to play (even a few premade characters to get you started).